Gus’s Market is for locals, by locals who live in San Francisco. Our family created exactly the type of place we want to frequent. We like good food and drink and fill our shelves, bins and tables with the stuff we love at affordable prices. It’s what we’ve done since opening shop back in 1981. We cater to your door with the same quality, friendly service you’ve come to expect. We even prepare and share our family recipes using our own local honey from our beehives, olive oil and wine from our own vines. Take a look through the catering menu or give us a call – we can create custom menus to make any occasion special. 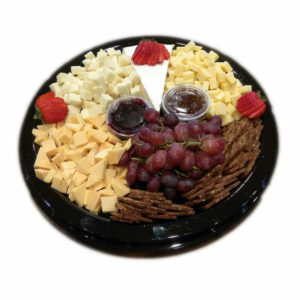 Delivery fee of $40, free with orders over $350. Delivery times are between 10 am – 5 pm. Deliveries in San Francisco only. Additional charges will apply for orders outside of San Francisco. Ask us about our wine and beer selection. All orders are handled through our Harrison location. Pick-up orders can be arranged to accommodate the most convenient location for our guests. Choose from a variety of seasonal selections. Ask our catering manager for details. For the best results, please review our specified instructions.